December always means that I have to start to check my winter time list. Winter months are Dec-Feb and I have slowly increased my count of species during that time. The number is now 145 and I added two nice ones on that list on third of December. 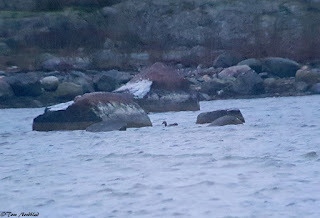 A first winter female King Eider was found last week and cause I was working, I had to wait until my first change came on Monday morning. I took Vilma to kindergarten and drove to Vuosaari where the bird was seen last evening. 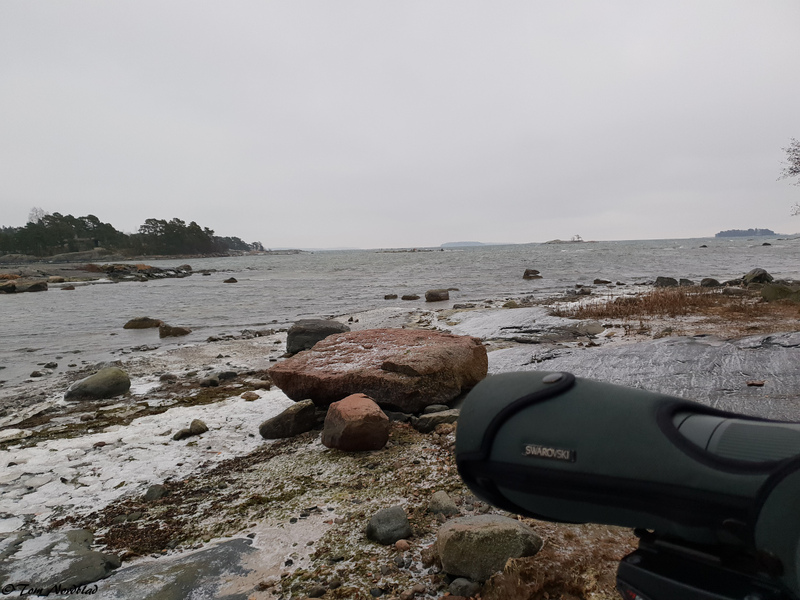 I topped to have some coffee and when I arrived to Kallahti I noticed an alarm message of the bird which was positive, the bird was still in the area. I walked to the most southernmost point of the cape and two guys told me where to look and there is was, what a beauty. Shame the light was bad and wind was strong, so bird was very challenging to watch. Very soon it moved again and flies away. I walked back and checked another place, the place where it was seen earlier, and there it was again. 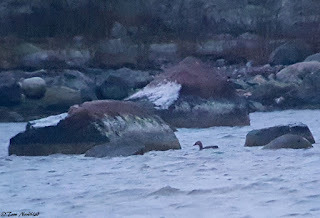 This time it was in better place and I even got some poor document photos of the bird. Soon I had to leave, because there was an Turtle Dove near by. I only stepped out of the car and walked short distance and the bird was there. Lots of people around it, so I watched it quickly and left to pick my new camera from Vantaa. 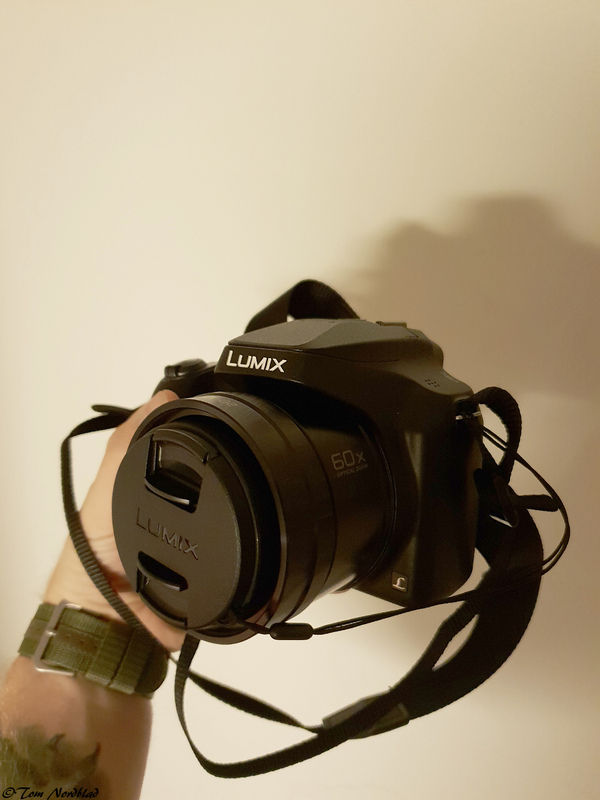 I bought this nice Panasonic Lumix FZ82 super zoom camera and I have to test it next time. With the zoom I have 1200mm reach for the birds, so let´s see what happens in real situation when I have to follow a moving targets. 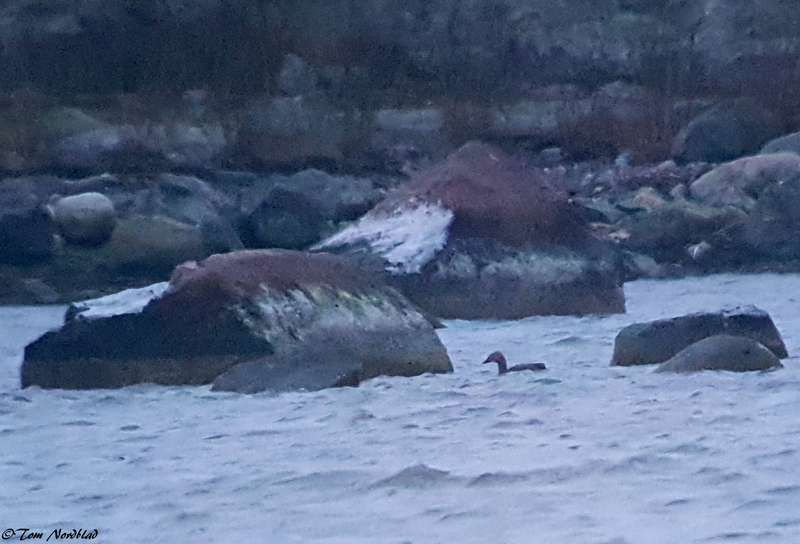 Here is a short video of the King Eider and few photos. 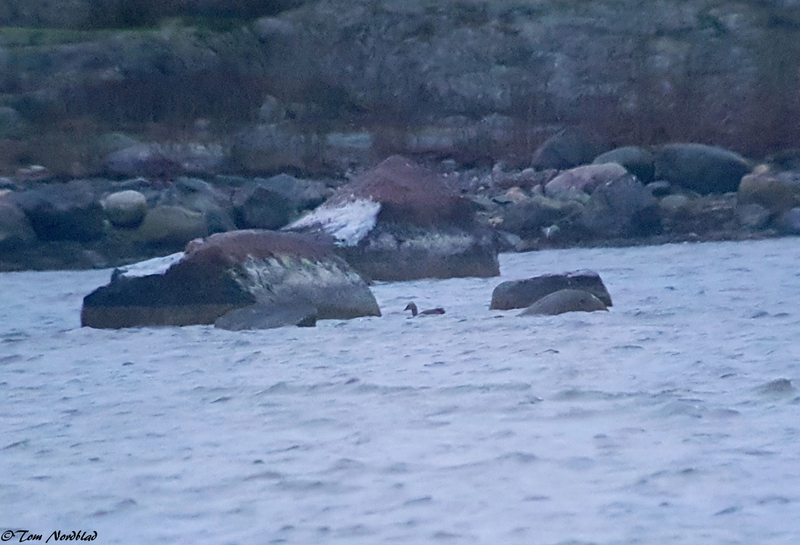 Place where I first saw the King Eider. Bird was far away and light was bad, so very poor photos. Typical shape of the head.